The Belgium international has been in-and-out of the starting lineup since the arrival of Ole Gunnar Solskjaer in mid-December, but he has still impressed with nine goals across all competitions. In an exclusive interview with Sky Sports News, Pastorello revealed that his client is eager to win trophies and could prefer to do the same with multiple sides during his career. He added that a summer departure from Old Trafford cannot be ruled out for the Belgium, who holds the preference to play in Italy at some stage in his professional career. He said:"The future is really very open but, at the moment, we don't discuss about that because really the season is in a big moment. He likes Italy. When he was a child he followed a lot the Italian league." 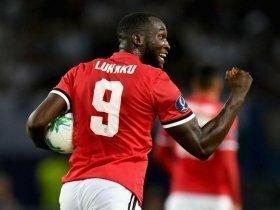 Lukaku recently started for the Red Devils in the 2-1 defeat to Wolverhampton Wanderers, where he was guilty of squandering a couple of clear-cut chances at the beginning.